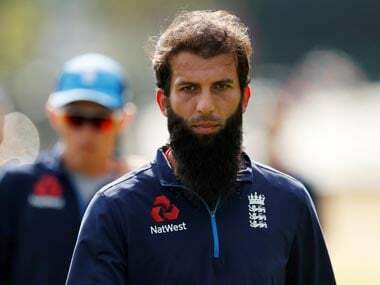 Mebourne: England all-rounder Moeen Ali has no sympathy for Australia’s banned cricketers and finds the whole team “rude”, British media reported. Australian cricket was thrown into turmoil earlier this year when captain Steve Smith, vice-captain David Warner and batsman Cameron Bancroft were banned after a ball-tampering scandal during a test in South Africa. Much of the cricketing world reacted with a mix of anger and schadenfreude, with media pundits and former players suggesting Australia had brought themselves undone with the aggressive way they played the game. “Everyone you speak to ... they are the only team I’ve played against my whole life that I’ve actually disliked,” Moeen told The Times newspaper. “Not because it's Australia and they are the old enemy but because of the way they carry on and (their) disrespect of people and players,” Moeen added. “I’m someone who generally feels sorry for people when things go wrong but its difficult to feel sorry for them,” he said, adding, "the first game I ever played against them, in Sydney, just before the 2015 World Cup, they were not just going hard at you, they were almost abusing you." “That was the first time it hit me. I gave them the benefit of the doubt, but the more I played against them they were just as bad, the Ashes here (in 2015) they were worse, actually. Not intimidating, just rude,” said the England all-rounder. Tim Paine, who replaced Smith as test captain, said the furore had been cathartic and would allow them to change their approach and team culture. Paine, however, added it would not diminish their desire to play the game hard.